The movie director Richard C. Sarafian, who died last week, was a fascinating, immensely likable man with a long, mostly unlucky career. In the late 1950s, after bumming around New York University (where, as a lark, he took a screenwriting course while flaming out as a pre-med/pre-law student) and the army, he wound up in Kansas City, where he met Robert Altman. The two became drinking buddies and worked together in the theater and on industrial films, and for a while Sarafian was married to Altman’s sister. While still in Kansas City, he directed a shoestring first feature, Terror at Black Falls, and in the early ‘60s, he followed Altman out to the west coast in search of TV work. Originally, Sarafian had wanted to cast Gene Hackman as the hero, Kowalski, a Vietnam vet and former cop – driven out of the department in disgrace, but for the right reasons – who, strung out on Benzedrine, agrees to drive a 1970 Dodge Challenger from Denver to San Francisco in a single weekend. He had to settle for Barry Newman, and though it’s easy to salivate at the thought of what Hackman (who was busy giving the performance that earned him an Academy Award and made him a bankable star in The French Connection) might have done with the part, Newman’s solitary, hostile, unshaven grunginess merges with the movie’s mood: he’s the living embodiment of an adrenaline junkie perched right on the edge of the moment before he crashes. Sarafian had also hoped to hire Randy Newman to do the score, but had to settle for a mostly undistinguished set of R & B- and gospel-tinged rock anthems, highlighted by an appearance by Delaney and Bonnie & Friends at an open-air Jesus freak rally in the desert, presided over by Severn Darden. 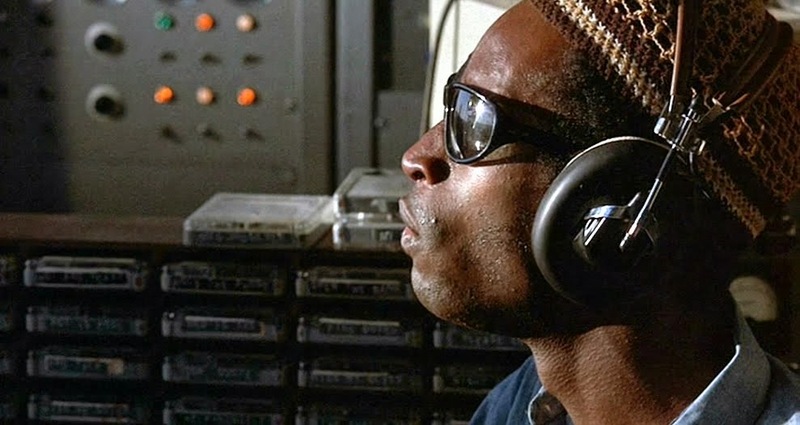 The use of music in the movie nicely sets Vanishing Point apart from Dennis Hopper’s Easy Rider. The music in Easy Rider is a lot better, but Hopper slaps it and the images together in an indifferent way, using the music as a crutch to lend moods to the footage he wasn’t able to capture visually. The music in Vanishing Point works better as part of the movie, because it’s audio-visually all of a piece. When Newman is driving like a bat out of hell to his fate, and begins to smile enigmatically at the moment that Alonzo sets his face aglow, the song on the soundtrack about being caught up in a rocking, rolling, reeling feeling might be riding in on the rays of the morning sun. It’s pure cheeseball transcendence. The glory that Kowalski achieves by being the fastest man in the world, antagonizing the cops, and going out with a bang, is a cheesy, juvenile kind of glory; it’s the kind of fantasy people indulge in when they feel frustrated and underappreciated and what to believe that you can’t really do anything to make the world a better place. But the truth is, we all feel that way sometimes. Some moviemakers – Woody Allen in his self-serious mode is a glaring example – have embraced that feeling and tried to sell it as art that expresses a “realistic” world view. 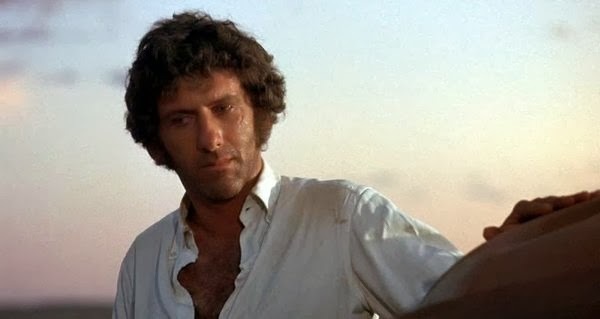 Vanishing Point was made by people who know better, but who recognized that taking that attitude as far as they could might carry its own kind of thrill. At the end, after Kowalski has cashed it all in, the crowds gathered to be a part of his heroic defiance just quietly disperse. They’ve had their thrill, and now the movie’s over.